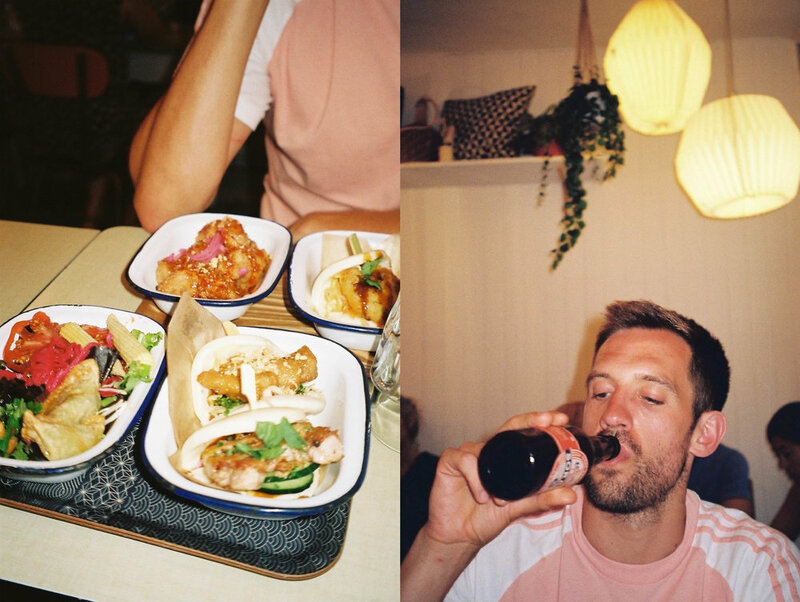 After I received so much love for my last review of places to eat and drink around Manchester, I thought I’d create a similar one, but this time about the amazing places in Paris me and Joe ate at. I must say, Paris has never been top of my list of places to visit, I have always thought of Barcelona or Berlin as a city break that suits us better. That all changed after a few days in the French capital though. I fell hard for the quirky streets, amazing food and the beautifully styled French people. There is something about this city that just oozes the essence of cool. The style of some of women really inspired me, but I’ll save that for another post. Today is all about the amazing places I would recommend to eat and drink that made us fall in love with Paris. I’m going to start with the area we stayed in Paris, Canal Saint Martin. This area is such a cool spot and gives an air of Shoreditch or Northern Quarter vibes about it. They have tonnes of cool designers like Sandro and Paul Smith, as well as independent interior stores like Antoine et Lili. One of the best stores we visited was this cool art bookstore called Artazart. There was so much cool wall art and coffee table books I would have picked up if I haven’t already overpacked my suitcase. This is where I felt really inspired by the city and the fashion photography books I found in this store. At night it turned into a place where locals sit out by the canal, where people met friends and drank on the streets. With the weather being so lovely we sat out until past midnight drinking pink prosecco taking in this beautiful spot. Feeling inspired by Alex Serruy’s recent stay at one of the Le Citizen hotel, we decided to book a room at the one in Canal Saint-Martin. The hotel only had a select few rooms which all look out onto the canal. For the style, price and location of Le Citizen Hotel, we couldn’t have picked a better place to stay. Pretty much most of the places we wanted to visit and eat at were in walking distance or at most a short journey on the metro. The room itself was small and compacted, just enough space for a few nights stay in this very cool area of Paris. Part of our booking included the breakfast and normally we find other places to eat but we decided to eat here and the food was delicious. Plus on a side note, they had free wine & tapas tasting on a Tuesday evening, which was a lovely treat for our first night in Paris. I would highly recommend staying here if you want to be central, live like a local but are on a bit of a budget. 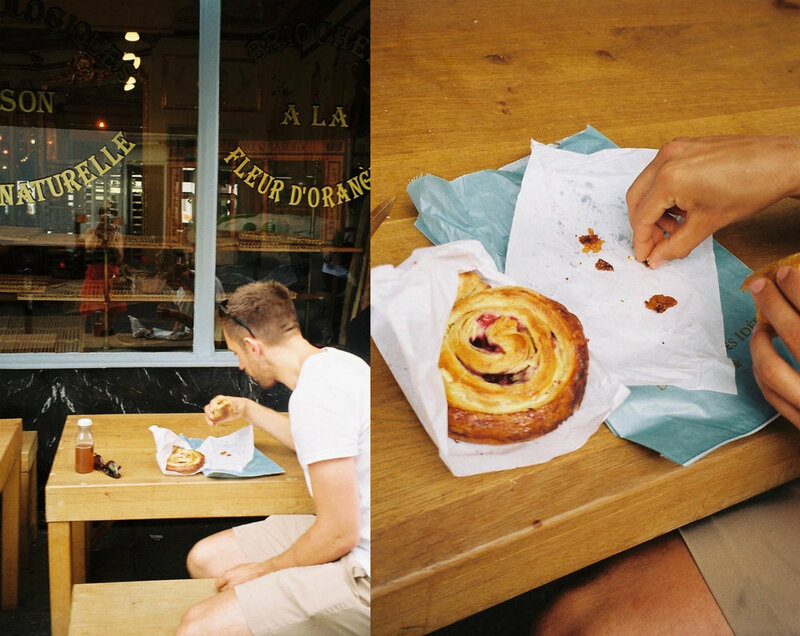 Our first stop and one that was highly recommended by friends for their incredible pastries was Du Pain et des Idees. This fine little bakery sells some of the most delicious freshly baked goods I have ever tasted. We actually went back for a second time on our last day, just so I could have the pain au raisin pastries with dark fruits and cream cheese again. If you love your pastries or freshly baked bread this is a great stop off while wandering around Paris. Top tip: This place is just as popular with the locals so I would advise going after breakfast but before lunchtime. This coffee shop was just up the road from our hotel and was the perfect spot off before we went on to do some sight seeing for the day. If we hadn’t already eaten at the hotel we would have definitely eaten here as the food looked just as good as the coffee. But instead we sat outside in the sunshine people watching. Out of all the places on our list to visit, this was number 1 due to the fact we had been looking forward to eating so much of their delicious cheese. We had heard how popular this place was so we booked a table and spent the afternoon eating a board of ten different cheeses with a board of cured meats with pate and a bowl of salad. Washing it down with a carafe of french red wine. We were so impressed with one of the cheeses (truffle cheese) we bought some back with us, for our very own cheese and wine night to relive how good this place is. If like me you love cheese, you will love this place. I would say the board with ten cheeses was just enough for two people. The people are so lovely in this restaurant and will talk you through all the food and what compliments each cheese. This Korean restaurant came up as one of the places to eat at in Paris. As it was only five minute walk away from our hotel and we both love Korean food we decided to try it out. It’s a small place, and we managed to get a spot near the window just before it got busy in the evening. We decided on 3x Bao buns, each with different meats and some crispy Korean fried chicken wings, which were the star of the night! The whole meal was so tasty and really filling from just a few things. I would even recommend getting the side salad just for the tasty dressing, and always get the kimchi! To tip: Arrive early in the evening as this place gets very busy, even in the middle of the week. This was a quick stop for a coffee after breakfast one of the mornings. This place wasn’t on our list but I was actually drawn up by the modern wooden details, open windows with people sat outside having what looked like a big portion of avocados on toast. So we popped in for just a quick coffee, the coffee itself was lovely but it was on the expensive side. For our last meal in Paris before heading home we decided to go somewhere a little more healthier after eating all cheese and pastries Paris had to offer! 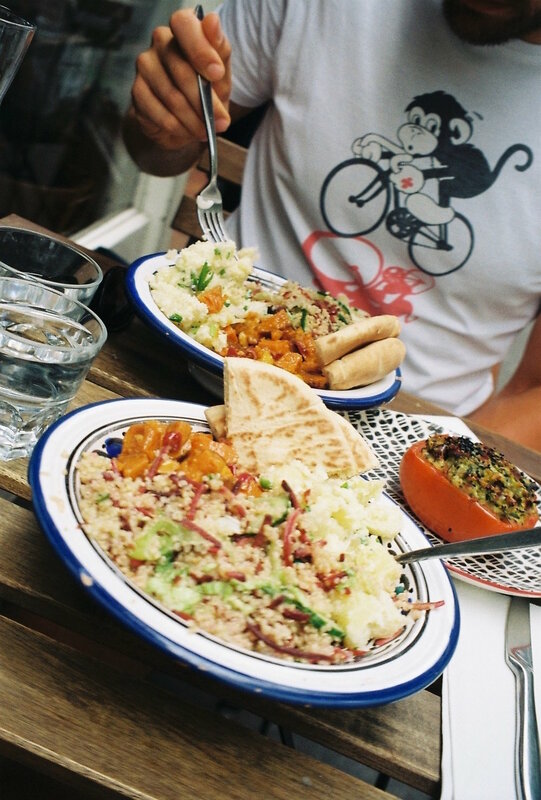 So we tried another little spot that we found whilst walking around Canal Saint Martin called IMA. IMA is a quirky little vegetarian restaurants that changes its menu to represent the fresh produce they have in that day. The menu is really simple, you pick either a small or large bowl of the day and they fill it lots of delicious things! We had goats cheese & cous cous, a potato salad, coleslaw and beetroot salad. We both had a small bowl which was just enough and was so tasty and fresh. A great place when you need a break from the french cheese and wine. We couldn’t have gone to Paris without going to see the Eiffel Tower, Notre-Dame Cathedral and the Palais de Chaillot, but I would say you can easily admire these monuments from the street. We even took a short walk along the park that runs along side the river towards the Eiffel Tower, taking in the sights while sipping on a cold beer from the supermarket. For us going to a new place is all about the food and seeking places to eat and more often than not we end up sharing food just so we can pack in as many places we want to visit. If you also loved Paris as much we did let me know any recommendations. Or let me know where you want to visit next on a city break?